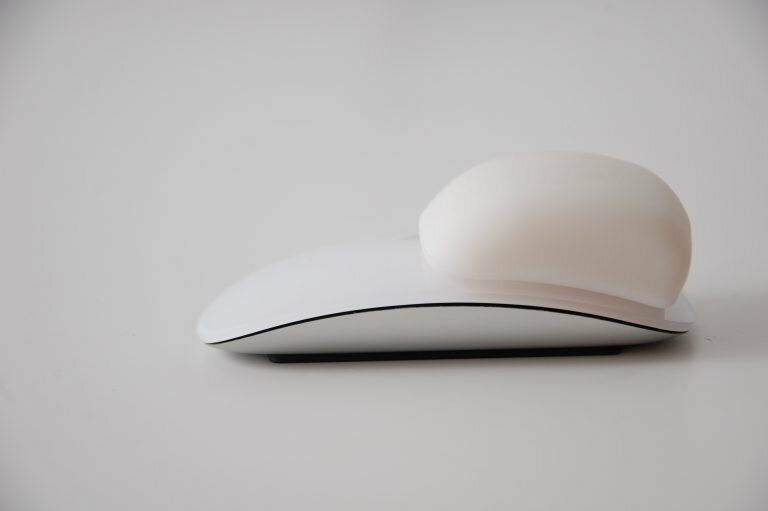 The Magic Mouse Fix is a quick and comfortable solution to the poor ergonomics of the Magic Mouse. 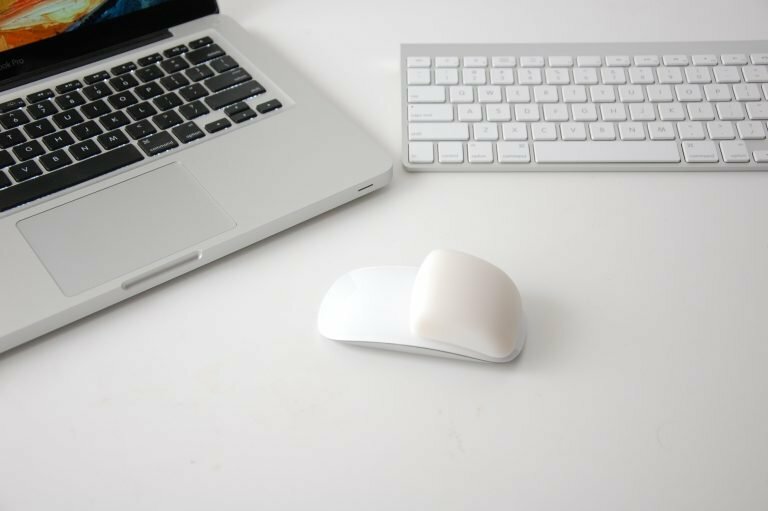 If you plan on using your magic mouse for more than thirty minutes a day, this product will reduce stress on your wrist and improve the ergonomics of what is otherwise an amazing mouse. In the past 10 years we’ve sold the Magic Mouse Fix to many thousands of satisfied customers and believe you’ll love the Magic Mouse Fix! Amazing reviews from Engadget, Gizmodo, Wired, LifeHacker, and many more! Being a fan of Apple products I picked up a Magic Mouse a few days after it launched. After using it for a week I was hooked on its multi-touch surface, but it was awkward to hold and after an hour or two of using it I would develop a pain in my wrist. Looking into the problem further, I found out that a large majority of Magic Mouse owners were having similar problems and all of the online product reviews I read revealed the same flaw. 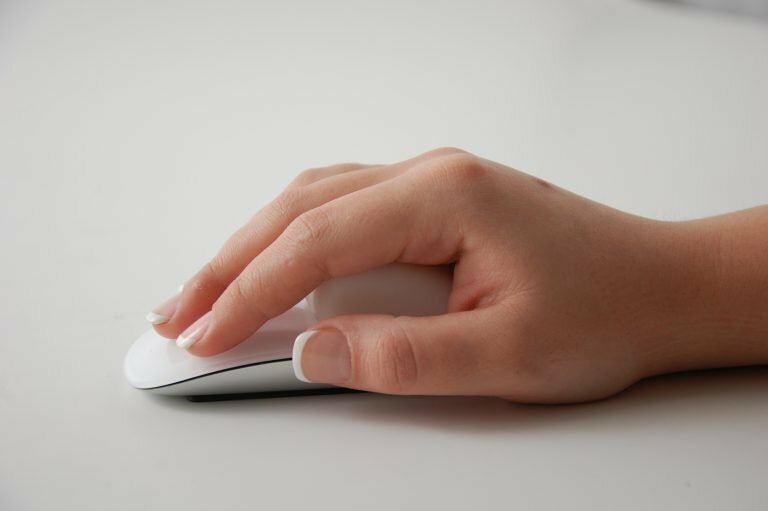 The Magic Mouse does not contour to the users hand. So, being a product designer and manufacturer, I decided to see what I could do to fix it. I started by building prototypes out of clay and testing them until I came up with one that fit my hand nicely and eliminated the wrist pains I was developing (I had my wife use it as well to confirm it would work in large and small hands). From there, I had it converted to a three-dimensional model and put into production. I decided on a comfortable silicone that feels slightly softer than a pencil eraser and integrated a suction cup into the bottom for quick and easy attachment and removal from the Magic Mouse. The “FIX” was ready!